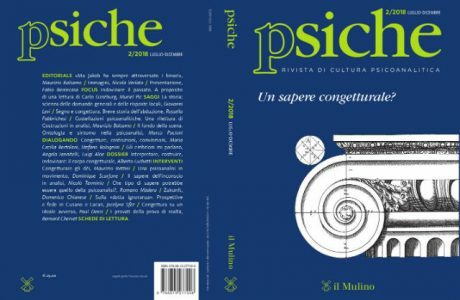 Sul sito web dell’Associazione Neuropsychoanalysis sono stati aggiunti numerosi testi (in parte ad accesso libero e in parte per iscritti all’Associazione) suddivisi in sei categorie. Neuroscience encapsulates many scientific disciplines and represents an ever-changing landscape. Modern neuroscience incorporates many fields of enquiry, some new, some old. It involves clinical, experimental and theoretical work, and draws on a wide range of theories, practices and technologies. Similarly, the field of psychoanalysis has a long, rich history, covering detailed and complex subject matter. Traditionally, and perhaps understandably to the casual observer at least, the fields of neuroscience and psychoanalysis have been polar opposites – biological versus psychological. One focused on the study of the objective brain, the other on the subjective mind. However, this disciplinary dichotomy has begun to change. 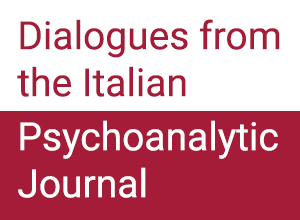 The emerging field of neuropsychoanalysis reflects the complexity inherent in both the neurosciences and psychoanalysis in that it encapsulates the merger of a number of different disciplines. This field can be viewed as comprising the coming together of converging lines of evidence: some from the mind side of the dialogue, others from the brain side. In light of the fact that the field of neuropsychoanalysis is truly multidisciplinary, it is inevitable that those drawn to this new and exciting field are going to lack key knowledge that is not traditionally part of the landscape of their particular fields. It is with this reality in mind that we have tailor made a series of specific reading lists that cover a number of pertinent topics under the broad umbrella of neuropsychoanalysis. This has been done in order to allow scholars and clinicians from various backgrounds to be able to comfortably and confidently engage with the new subject matter. The list entitledBridging Psychoanalysis and the Neurosciences before 1999 and the Advent of Neuropsychoanalysis identifies a number of the key seminal works that helped to forge the path that led to the founding of neuropsychoanalysis as the field as we now know it. Many of these papers date back to the early 1900s and are of great historical significance and interest to the field. TheHistory of Neuropsychoanalysis reading list provides an overview of the genesis and evolution of the exciting field of neuropsychoanalysis. It highlights some of the key pioneers and advocates in this field and draws on their work in bringing the world of subjective experience into dialogue with neuroscientific disciplines. This reading list also offers explanations as to what neuropsychoanalysis is and what subject matter it involves. TheClinical Neuropsychoanalysislist covers literature that documents how work with patients with organic brain injury has been successfully conducted therapeutically to improve outcomes. The readings included also highlight some of the key theoretical positions that serve to inform this much-needed work. ThePsychodynamic Neurosciencereading list identifies studies and literature that combine experimental and computational cognitive neuroscience with knowledge derived from metapsychological models – i.e. the brain mechanisms underlying subjective processes. This type of work involves testing psychoanalytic concepts with brain measures, and enriching ongoing neuroscientific exploration with psychoanalytic hypotheses. This exciting new field is shaping the way that metapsychological accounts and predictions are understood by exploring them through the lens of modern neuroscientific tools and techniques. 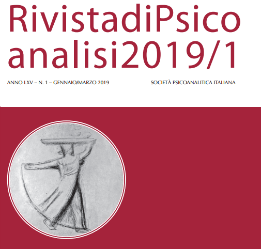 TheEfficacy of Psychoanalysis and Psychodynamic Therapyreading list provides papers in the form of reviews and meta-analyses that demonstrate the efficacy of psychodynamic therapies. TheClinical Neurosciencelist provides references to some of the key auxiliary information from other fields within clinical medicine with which neuropsychologists and other professionals need to be familiar in order to understand the pathologies/conditions of the patients they encounter, along with various medical procedures/investigations that may have been performed. Such fields include neurology, neurosurgery and psychiatry.